You’ll find the best veterinarian for your family’s pets at East Valley Animal Hospital. Our team of professionals will care for your pet like they are our own. With the advances in animal healthcare, our furry friends are living longer than ever before so seeking quality healthcare is key to their happiness. While those of us who love our dogs and cats are beyond pleased that our pets are living longer, happier lives, we have to be mindful of their special, age-related needs. Just as humans need to adjust lifestyle and diets as we get older, so do our pets. 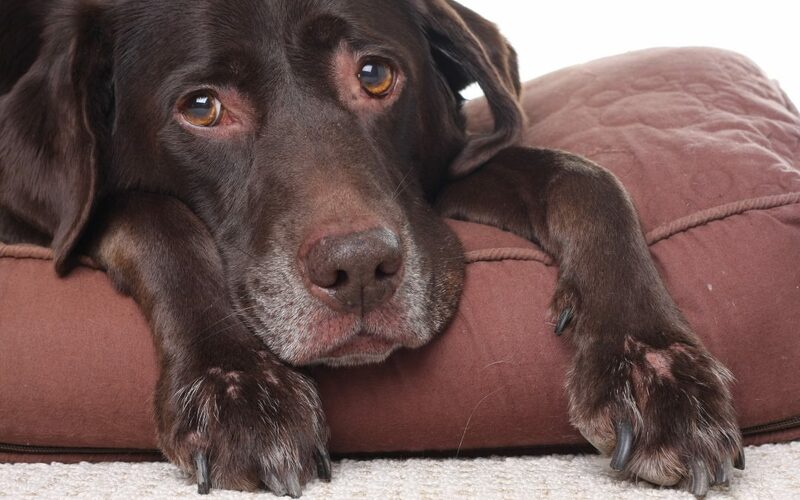 Other issues with older pets can include weight gain, lack of mobility and an increase in dental issues. It’s important to remember that even the best veterinarian can’t help age from taking a toll on your best friend’s health. But with consistent care and attention, you have a better chance at keeping things at bay. As your pet ages, we recommend bringing him in twice a year versus the annual check up received when he was younger. This will help us identify any potential issues as early as possible. After examining your older pet, we’ll help you develop a regimen that is right for him and his special needs. That may include a change in diet to a food that is more easily digested. If your pet is aging, don’t despair. There are things you can do to help your pet through his aging journey to ensure he gets the treatment he needs. Schedule your pet’s appointment today and let us help you give your pet the healthiest, happiest senior years possible.